May is Celiac Awareness Month, and Garden Lites offers products that are always gluten-free and made with vegetables as first ingredients. Gluten- free food is especially vital for all sufferers of Celiac Disease, a genetic autoimmune disease which damages the small intestine. Celiac Disease impacts over 3 million Americans, and since the first Celiac Awareness Month in 1987 the number of gluten-free individuals in the US has skyrocketed to over 50 million. Garden Lites is proud to provide great gluten-free options for both Celiac disease sufferers and those who are gluten-free for other reasons such as a gluten allergy or another intolerance. Garden Lites offers portable, nutritionally dense gluten free foods such as Garden Lites Superfood Veggie Cakes, muffins, Chocolate and Blueberry Oat muffins and Teenage Mutant Ninja Turtle Power Muffins. Experts agree that superfoods are incredibly good for you. 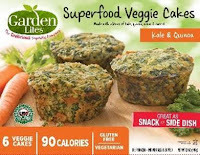 Garden Lites® Superfood Veggie Cakes Superfood Blend are packed with nutrient-rich superfood veggies like kale and cauliflower. 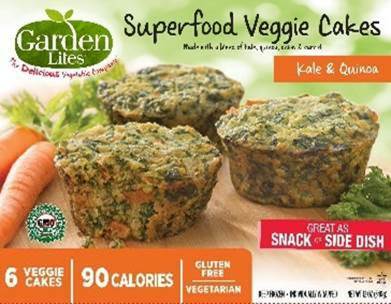 Garden Lites® Superfood Veggie Cakes with Kale & Quinoa are also packed with nutrient-rich superfoods like kale and quinoa. The line packs only 100 calories! Garden Lites® Superfood Veggie Cakes come in a package of 6 veggie cakes for an SRP of $4.99. They are available in both frozen and refrigerated sections. 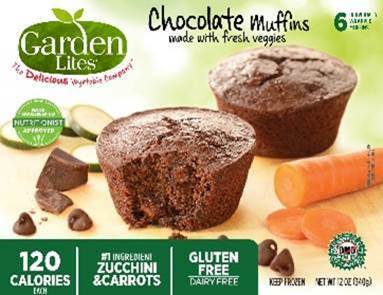 You'll never believe the first two ingredients in Garden Lites® Chocolate Muffins are zucchini and carrots. Heat in the microwave to enjoy a chocolatey, decadent experience for only 120 calories. The first ingredient in Garden Lites Blueberry Oat Muffins is zucchini. Every bite of Garden Lites Blueberry Oat muffins is bursting with plump blueberries. Heat them in a microwave to enjoy a delightful blueberry packed muffin with only 120 calories. 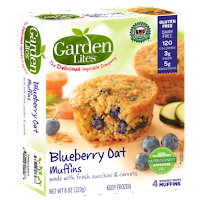 All Garden Lites Muffins are Non-GMO and deliciously moist and a great source of fiber. 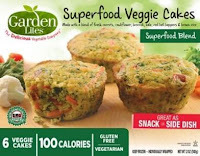 Garden Lites muffins come in a package of 6 muffins, for an SRP of $4.99. Perfect for breakfast, lunchtime or a snack, your child will love the fun characters and you’ll love the fact that zucchini is the first ingredient. 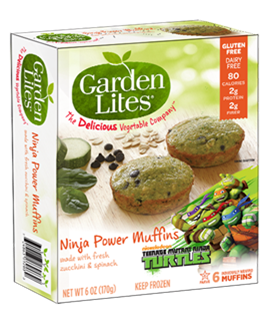 Only 80 calories each, Garden Lites Ninja Power Muffins are Allergy-friendly; Gluten, Dairy & Nut Free! Perfect for lunchboxes. About Garden Lites: Garden Lites® is a Classic Cooking, LLC brand based in Rahway, NJ that produces delicious vegetable snack foods. 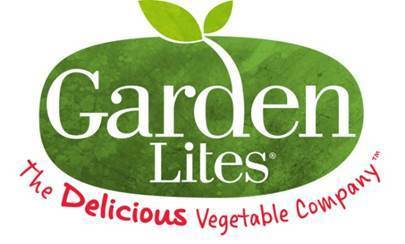 Since 2008, Garden Lites has raised the bar in healthy foods by delivering full flavor that’s also veggie rich. Garden Lites has the Good Housekeeping Nutrition Seal of Approval and is the recipient of numerous awards, including the 2016 Cooking Light - The Healthiest Frozen Foods in the Supermarket: Breakfast; 2016 Grocery Headquarters Trailblazer Award; 2016 Parents Magazine 25 Best Frozen Food for Families; 2016 – Gluten Free Digest Chocolate Muffins; 2015 Pioneers of Better For You: Refrigerated and Frozen Foods and 2017 Runner’s World Editor’s Pick.